Provides a fast convenient system for marking wire, cable, or vacuum hoses. Special end loop for hoo.. 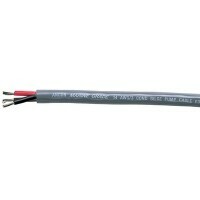 Heavy duty, pure copper for maximum current flow and tinned for corrosion resistance and easy solder..
Made to surpass the highest UL Boat Cable standards. The outer jacket is made to remove easily but s.. 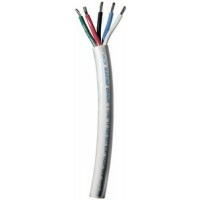 The inner conductors are correctly color-coded to ABYC standards, yellow and red.Ancor recommends ye..
Made to surpass the highest UL Boat Cable standards with ultra flexible (Type 3/Class K) stranding t..
Tinned copper for corrosion resistance in the marine environment. Very flexible and easy to use. Gau.. 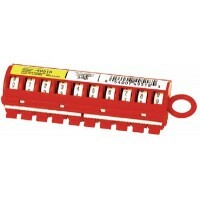 Features black, brown and red conductors. Gray insulation. 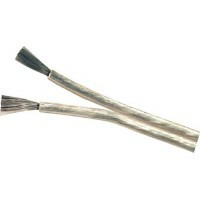 Gauge: 14/3Length: 100'.. Features black, brown and red conductors. Gray insulation. Gauge: 14/3Length: 250'..
100% tinned copper. 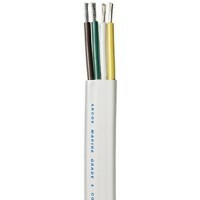 Gauge: 14/5Type: Round MastColor: Black/Blue/Green/Brown/RedLength: 100'..
100% tinned copper. 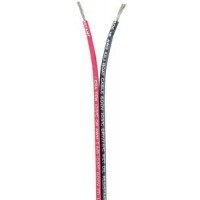 Gauge: 16/2Type: Flat RibbonColor: Black/RedLength: 100'.. Features black, brown and red conductors. Gray insulation. Gauge: 16/3Length: 100'..
100% tinned copper. 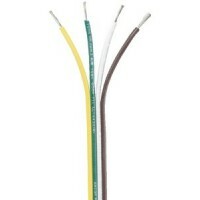 Gauge: 16/4Type: Flat RibbonColor: Brown/Green/White/YellowLength: 100'..
100% tinned copper. 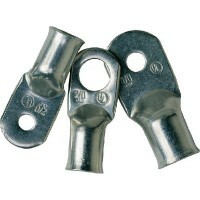 Gauge: 16/4Type: Flat TrailerColor: Brown/Green/White/YellowLength: 100'..